Home of Alexis de Tocqueville, iconic figure of the ideals of democracy and justice, and famed author of Democracy in America (1835). This seminal work – published after his travels in the United States – is today considered a foundational masterpiece of political science. Nested in a 19th century English style park, designed by Alexis de Tocqueville’s wife Mary, the Château de Tocqueville was built successively in the 16th, 18th and 19th centuries. 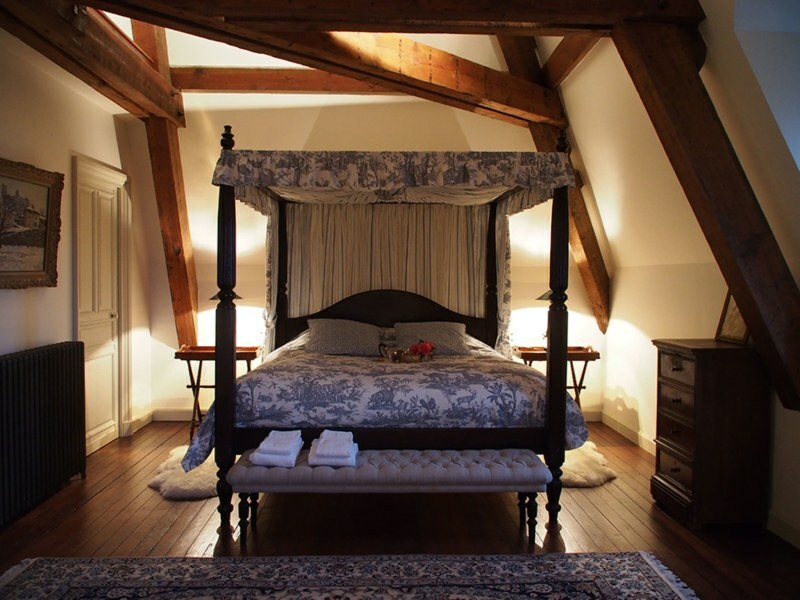 Located in the heart of Normandy (20 km East of Cherbourg and 4 km from the sea), you will be able to discover one of the most beautiful and historical regions of France, all the while finding in this home the serenity and tranquility that inspired Alexis de Tocqueville. Come and discover this charming and prestigious country retreat. The Tower wing, the Château’s spectacular square tower, now provides visitor accommodations – independent from the rest of the Chateau – for you, your family, your friends and colleagues! The Château de Tocqueville is the private and family home of Count and Countess de Tocqueville d’Hérouville and their children. The Count de Tocqueville, is a member of the New York and Paris bar and now practices law in Paris after living in Washington DC and New York city; he is also a founding member of United Way in France. 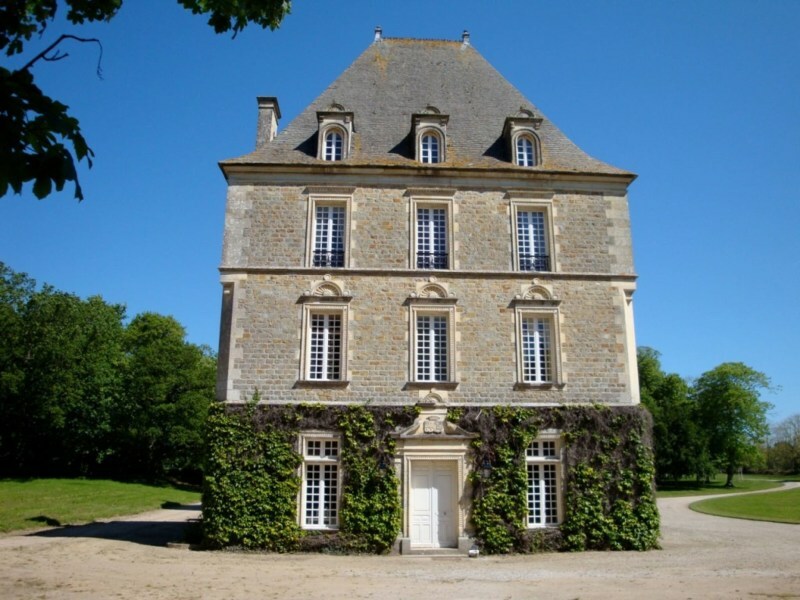 The château de Tocqueville is an interesting and unique mix of styles due to the three different construction periods (16th, 18th and 19th century). This architectural diversity gives a special charm to the house but respects its harmony as well. For its architecture and history the Château is considered a national landmark and is listed among France’s Patrimoine National. Alexis-Charles-Henri Clérel de Tocqueville (born in Paris on July 29, 1805 and died in Cannes on April 16, 1859) was a French political thinker and historian best known for his “Democracy in America” (appearing in two volumes: 1835 and 1840) and “The Old Regime and the Revolution” (1856). He is one of the greatest thinkers of the 19th century. In both of these works, he analyzed the rising living standards and social conditions of individuals and their relationship to the market and State in Western societies. Democracy in America (1835), his major work, published after his travels in the United States, is today considered an early masterpiece of sociology and political science. Tocqueville is located on the Cotentin peninsula in the West end of Normandy, 20 km (12 miles) East of the port of Cherbourg. The nearest train stations are either Cherbourg or Valognes. The train trip Paris-Valognes takes a little less than 3 hours. The closest airport is Cherbourg Maupertus (10 km (6 miles) from Tocqueville and also 10 km from Cherbourg).